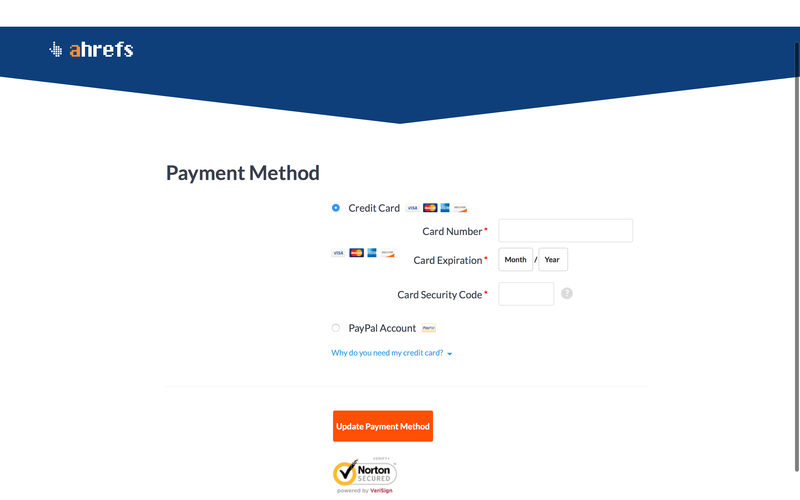 Find out how to change your payment details / payment method for your Ahrefs account. Changing payment details is just a few clicks away. You will be able to update your preferred credit card or use a Pay Pal account instead. Select "Update Payment Method" and click "Next". Update your credit card details accordingly or input details of your PayPal account. 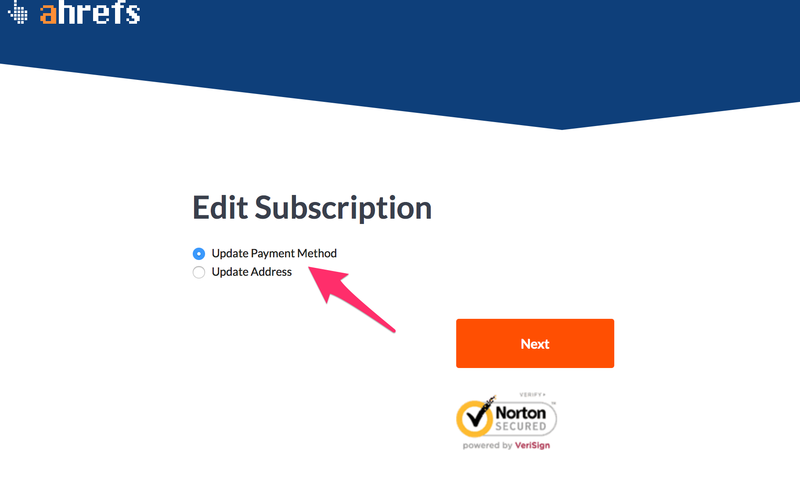 Then click "Update Payment Method". 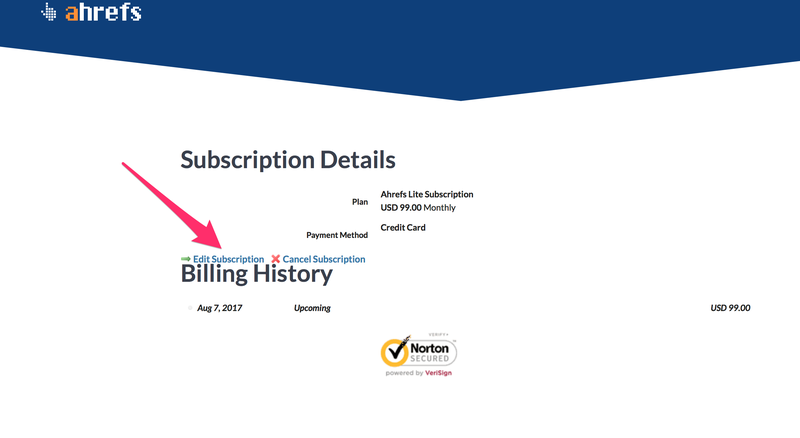 How to change billing address? You may also change billing address that is linked to your Ahrefs account.